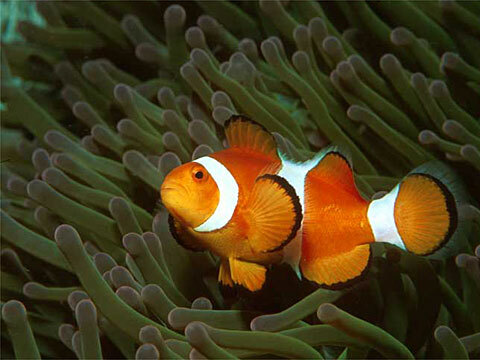 The Clown Anemonefish (Amphirprion ocellaris, Cuvier, 1830) lives in lagunas and protected reefs, between one and fifteen meters deep. It is found on sea anemones of the species Stichodactyla gigantea, S. mertensii, and Heteractis magnifica. Based on the rating of 334 users.